Houston Regional Gastroenterology (Humble) - Book Appointment Online! 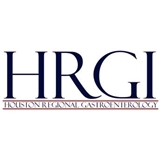 At HRGI, we are committed to providing each patient with a optimal patient care and service. We strive to make every experience as pleasant as possible.